Leicestershire, London’s Met and South Wales Police all have begun trialing the currently very hot automated facial recognition technology. They have started to use the technology in public places as well. Critics of the facial recognition technology say that lack of sufficient legal oversight that exists around the facial recognition technology is a cause for concern. Porthcawl is a small Welsh town that has a population of around 16000. For the past 14 years, each summer the entire population has to endure a special kind of invasion. Around 35000 Elvis fans swamp the town to join the summer festival. In other words, a lot of people come to attend the annual festival that takes place in Porthcawl. Most of the people that come to the festival look pretty similar. In the way that most of them have their hair slick back. Many of them throw those iconic (and oversized) sunglasses in the mix as well. To top it all off, they also don the famous white flares. The 2017 edition of the Elvis festival offered something different to all the impersonators coming to the town. Law enforcement agencies had started trials on using automated facial recognition technologies in order to track and then hunt down criminals of all colors. The police department for the area used facial recognition technology-enabled camera that scanned the public. Using these cameras, law enforcement agencies managed to spot around 17 faces that, according to officials working for law enforcement agencies, thought matched suspected criminal faces which they had stored in their databases. As it turns out, out of the 17 faces that the facial recognition technology helped the police helped to recognize, only 10 were correctly identified. Needless to say, the facial recognition technology matched and identified 7 faces, out of 17, wrongly. As alluded to before, officials from the South Wales Police first began using and testing automated facial recognition technology-enabled systems in June of 2017. Moreover, we also know that South Wales Police department has also tried to use the facial recognition technology in some real-world scenarios as well. According to some sources, the police department has made use of the facial recognition technology at slightly more than ten public events. The facial recognition technology, in most of the real-world cases, and the systems in place haven’t found the successes that the police had hoped they would. In other words, the facial recognition technology-enabled systems, so far, have scored more incorrect matches that correct matches. So one cannot really use this technology to correctly match and then identify an individual or an offender or even a potential suspect on a regular basis. Authorities have also used this type of automated facial recognition systems in many other types of events. 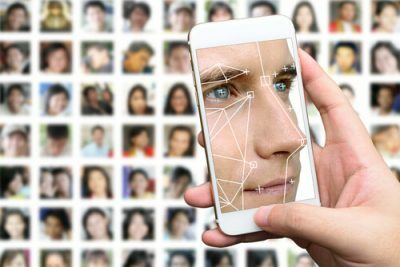 Recently South Wales Police department released official figures on the use of facial recognition technology after it followed a Freedom of Information request. What did the figures show? The figures showed the total number of instances where the department’s automated facial recognition system managed to make incorrect and correct matches. Readers should know that the South Wales Police force recently published all the related data on the department’s official website as well. Click here to have a look at that data as well. Last June, Wales held the prestigious UEFA Champions League final. During that week, law enforcement agencies used the automated facial recognition technology-enabled camera for the very first time. The facial recognition technology came up with more than 2470 alerts regarding possible face matches. As mentioned before, the automated facial recognition systems also made mistakes. Reliable figures say that after a more thorough look, officials found out that out of 2470 possible matches, around 2297 were actually false positives. Of course, that also means the automated facial recognition technology systems identified around 173 faces correctly. Bringing some more maths to the equation, the South Wales Police facial recognition technology systems had a match accuracy rate of 8 percent. To put it another way, a good 92 percent of the matches that the facial recognition technology systems made were actually incorrect. The police force for not implementing the facial recognition technology properly? Or the engineers who worked hard behind the scenes with the technology beforehand? Well, according to a spokesperson from South Wales Police force, the systems had such poor accuracy rate because of all the low-quality images that the force had stored in its database. The spokesperson also blamed the fact that the force had used the automated facial recognition technology systems for the very first time. And hence, they were bound to make mistakes. Experts regarding facial recognition technologies have put out a warning to users of this technology that forces, including South Wales POlice force, are using facial recognition systems which have little to no regulatory oversight. Moreover, there is very little transparency as far as how these facial recognition systems worked and identified people. Some have also raised questions over the actual accuracy of these facial recognition technology systems. With that said, there is another point of view. And that point of view is that of the police force itself. Police forces have mentioned it time and time again that the automated facial recognition technology systems have enabled the force to come with up correct matches. And these correct matches have assisted them to arrest many suspects. Law enforcement agencies also say that these facial recognition systems are getting better and will offer improved accuracy rates in the future. The director of Big Brother Watch (a rights group), Silkie Carlo, recently told reporters that the new figures showed that the new technology of real-time facial recognition posed a great threat to various civil liberties. Not only that, it also represented a dangerously and deeply inaccurate tool for policing. Big Brother Watch is now planning to launch various campaigns in the parliament against the use of facial recognition tech a little later this month. Carlo also mentioned that the South Wales Police’s own statistics showed that the facial recognition tech mistakenly identified innocent members among the public. And it did so at a terrifyingly inaccurate rate. All the while, one could easily count the handful of situations and occasions where the facial recognition tech actually supported a genuine and effective policing purpose. Police forces also utilized facial recognition technology systems in October of 2017 at the boxing match between Kubrat Pulev and Anthony Joshua. Coincidentally this was also the month when the police had actually managed to improve the algorithm that its facial recognition systems used previously. This time around, the facial recognition system managed to identify five true positives. How many false alerts did the facial recognition system produce? Doing a bit of math again, that accuracy rate come to 10 percent. In other words, even the improved facial recognition system scored a 90 percent false positives rate. When the police force used the same facial recognition system at an international rugby match between Australia and Wales, it produced six positives. Alongside that, it outweighed those six positives with 42 negatives. Reports have also revealed that the police used facial recognition systems during a royal visit as well. It happened in January of 2018 when Meghan Markle and Prince Harry decided to make a royal visit to Cardiff. South Wales Police used automated facial recognition systems to cover the visit but it did not produce any matches. To put it another way, it did not provide any false matches nor positive matches. On the other hand, when the police successfully recovered a dead man’s body who had, as the police found out, had jumped right into River Taff (which lead to his death) on November 3, 2017, the force’s automated facial recognition systems helped by discovering the dead man’s identity. Facial Recognition And The Testing Procedures. There is very little doubt left that automatic facial recognition systems that have the ability to scan faces of people and then proceed to come up with matches haven’t really crossed their early testing stage. At least that is true as far as the UK is concerned. But that doesn’t mean the facial recognition technology is useless. Countries like China and the US have proved that. For example, automated facial recognition systems in China are so advanced that they located a BBC News reporter inside just seven minutes during a stunt. Law enforcement agencies in China have also used automated facial recognition systems to spot a suspect who had attended a concert. Later, law enforcement agencies arrested the man. This should lead everyone to recognize the benefits of law enforcement agencies using facial recognition systems. In other words, the advantages these systems offer are evident. 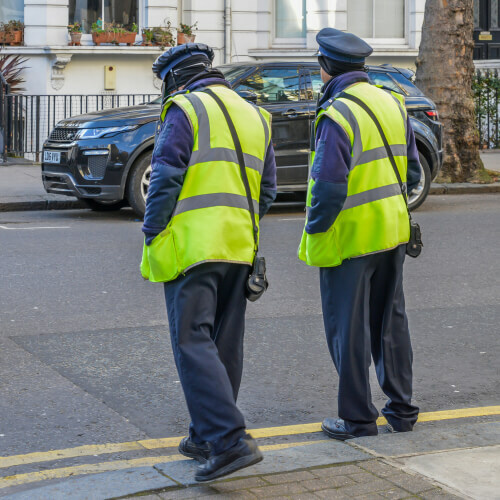 According to the Welsh police force, it had the intention of using automated facial recognition systems to assist the force with activities such as detection and prevention of specific types of crime. A Coventry University cybersecurity management researcher, Alexeis Garcia-Perez, recently mentioned that as far as police work went, the automated facial recognition technology could help to facilitate the process of identification of criminals. Moreover, such systems could also help the police force to reduce the time it takes them to complete such process to just minutes. Alexeis said that the police department can use such systems to identify anyone in a very short period of time. If they are able to do that then there is no doubt about the fact that they can reduce the percentage of sale arrests. Automated facial recognition systems also have many other applications that can help with other issues. But, Alexeis said, the general public would probably not see these applications in a very positive light. 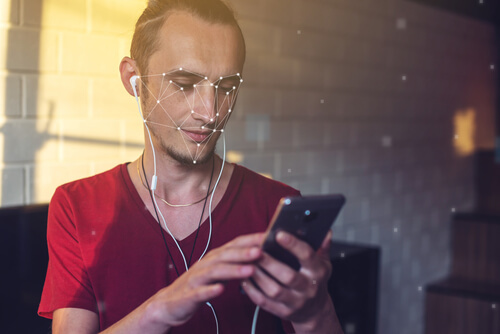 In the force’s privacy assessment of the automated facial recognition technology, South Wales Police said that the technology represented a significant advantage. What is that “significant advantage”? The advantage is the fact that the police force does not require any cooperation from any person to do its work. South Wales police had an automated facial recognition system which comprised of a total of two CCTV cameras. The force had connected those cameras to a given laptop. But it can also be connected to a server. The police then recorded the CCTV feed and then pulled faces directly from the video footage. When that process reached its completion stage, the automated facial recognition system, on its own, compared the faces against the department’s watch list. The watch list, which is basically a database of suspects, comprises of thousands and thousands of facial images. In the force’s privacy assessment, South Wales Police mentioned that the force manually added the watchlists and all the associated metadata with the list. Then they proceeded to regularly review the automated facial recognition system in order to ensure the currency and accuracy of the system. The privacy assessment also mentioned that the force delated the watchlists and its associated metadata at the conclusion of the related deployment. 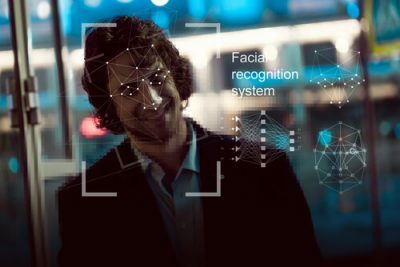 According to the police force, the future may bring automated facial recognition systems which make it possible to integrate the current facial recognition technology with some of the bigger, and perhaps better, databases from other related sources as well. The Police National Database currently has images that total over 19 million. to its current database in order to expand the areas in which it can apply automated facial recognition systems. A forensic science professor, Martin Evison, recently said that he thought the false positives were actually disappointingly realistic. Martin has previously worked at Northumbria University researching police recognition techniques. He also said that the problem with the false positive match was that, once one happened, the police automatically considered the person a suspect who could be, otherwise, a perfectly innocent fellow. Martin also pointed out that current facial recognition systems did not have the capacity to perform in the real-world as they would in somewhat more controlled environments and conditions. In other words, facial recognition systems current exhibit higher levels of accuracy in labs when compared to real-world events. Garcia-Perez recently noted that existing facial recognition systems and related algorithms still had a lot of limitations in the way law enforcement agencies could use them. This past week Evison explained that police used facial recognition systems that still needed careful configuration if they wanted to improve accuracy. Automated facial recognition systems should not provide more than the necessary amount of false positives. Evison also said that if law enforcement agencies wanted to catch a given suspect, then they should have the ability to set a reasonable threshold. That threshold has to be sufficiently low enough so that law enforcement agencies don’t miss the actual criminals and end up making a false excision. Furthermore, he said, if law enforcement agencies do manage to set the related threshold low enough then they would inevitably register a higher number of matches that are actually false. South Wales Police recently told the media that the Home Office had not given the forces any guidelines setting required false positive rates that they should target. However, South Wales Police did mention that the current facial recognition system did allow them (the operator) to set different match threshold levels against the police’s watch list database as a whole. Law enforcement agencies have pointed out that each time a given facial recognition system issued an alert, they had a police officer who would review the alert and judge whether it represented a match. After that, the police officer would consider if the police force should send an intervention team to take care of the found match. The police force only sends the team when it has ascertained that the match is indeed correct. A spokesperson representing the police force recently said that when the police dispatched its intervention team, it involved a police officer initiating an interaction with the potential matched individual. Furthermore, the police officers have the ability to quickly establish if the facial recognition system has correctly or incorrectly matched the person to a suspect via traditional policing methods. These traditional methods include techniques such as launching a dialogue between the matched individual and an officer of the law. If they found that the system incorrectly identified someone, they send them to the official explanation page that the police force has posted online. The police force has made multiple arrests as a result of using facial recognition technology. Back in January of this year, media reports revealed that the police charged 50 and arrested 12 as a result of using facial recognition technology. Then in February, a police officer who used the facial recognition technology took to Twitter to announce that in a United Kingdom Policing first, the officer had positively identified an individual from only a night club’s CCTV footage and that too from a month ago. Of course, that does not solve issues related to facial recognition technology and privacy considerations.